The MP for Northampton South has pledged to work with his local party after he faced them for the first time following claims his actions had brought them "into disrepute". David Mackintosh attended a meeting of the Northampton South Conservatives Association on Friday night, following calls by the party chairman, Suresh Patel, that he "should consider his position". It following a damning motion by fellow association members, Michael Clarke and Mary Markham, that said his role as leader of the borough council when the failed £10.25 million loan to Cobblers was agreed, and his "refusal to accept responsibility" had damaged the reputation of the local party. A statement released after the meeting on behalf of Mr Mackintosh and the association carried a markedly different tone than previous comments given earlier in the week, which included the local party saying it had "grave concern" over the situation. Mr Patel said: "Friday's meeting was very constructive and we will continue to work with David as our MP so that our area can have the strong voice we need in Parliament." Mr Mackintosh added: "It was a productive meeting and I will continue to work with local Conservatives to deliver for ordinary working people across Northampton South." There was clearly disagreement on Friday when the local Conservative association issued a statement saying the proposed motion had been delayed because the national party was "looking into the issue further". The national party immediately responded, stating "it was not investigating". 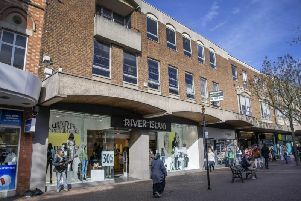 The row came after the publication of the report by Price Waterhouse Cooper into the borough council's handling of the loan to Northampton Town. Chief executive of the borough council, David Kennedy, apologised "unreservedly". In an initial statement on the day the report was published, Mr Mackintosh blamed "highly-paid officers" for the problems. Following pressure, Mr Mackintosh published a further statement in which he apologised for the role he played as leader.